Boca Juniors and River Plate trained in Madrid for the first time on Thursday ahead of the Argentinian arch rivals' postponed Libertadores Cup decider at the Santiago Bernabeu. The second leg will be held at the home of Real Madrid on Sunday following the controversial decision of South America's football federation, CONMEBOL, to take the fixture out of Argentina. After arriving on Wednesday, Boca's players looked in good spirits during a light session at Las Rozas, the Spanish national team's training base in the north west of the capital, on Thursday morning. The final's first leg ended 2-2 at Boca's Bombonera ground last month, with River set to host the return at their El Monumental stadium on November 24. 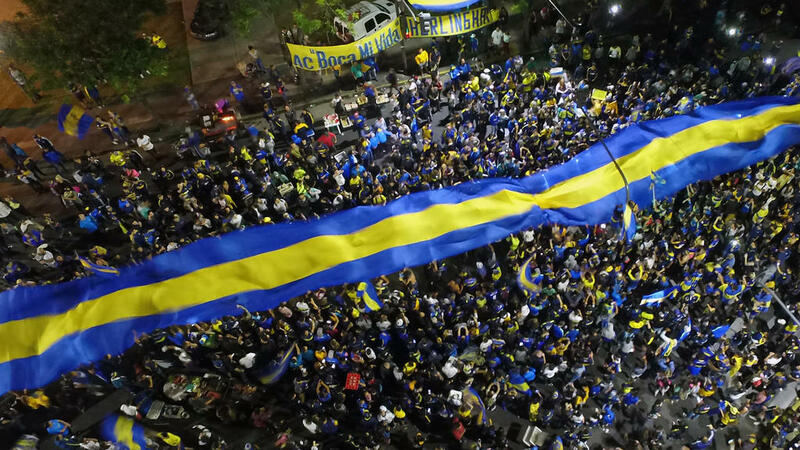 The match had to be postponed, however, following an attack by River Plate fans on the Boca Juniors team bus, which saw windows smashed and some Boca players injured. As punishment, CONMEBOL ruled River would lose their home advantage and the game was moved abroad amid fears over further fan violence. Both clubs initially opposed the proposal to play their decisive second leg in Spain. Former Boca idol Juan Roman Riquelme voiced his disapproval earlier this week, saying it would make it "the most expensive friendly in history". "The way it is, makes it the most expensive friendly in history."